No violence or mob lynchings have been reported in Goa, Mizoram, Nagaland, Arunachal Pradesh and Tripura, where cow slaughter is widely prevalent but these states have negligible Lok Sabha seats for the BJP, the Sena said. The Shiv Sena Wednesday attacked ally BJP over violence in party-ruled Uttar Pradesh's Bulandshahr, asking if it was orchestrated to polarise society on religious grounds ahead of the 2019 Lok Sabha polls. The issue of cow slaughter and consuming its meat is widely prevalent in Goa, Mizoram, Nagaland, Arunachal Pradesh, and Tripura, but no violence or mob lynchings have been reported there as these states have negligible Lok Sabha seats, the Sena said in remarks laced with sarcasm. The Bharatiya Janata Party (BJP) could come to power at the Centre in 2014 as it won 71 out of total 80 Lok Sabha seats in UP, the party noted. The BJP has realised that repeating the performance is not possible and if the opposition comes together as it did in the Kairana by-polls (in UP), the ruling party could be easily defeated, the Sena said. "Was the Bulandshahr incident orchestrated like the Muzaffarnagar incident before the 2014 polls? The BJP knows that the 2019 elections will not be easy for it. Therefore, has it used its weapon of religious polarisation?" the Sena asked in an editorial in party mouthpiece 'Saamana'. The communal clashes in UP's Muzaffarnagar district and adjoining areas in August and September 2013 had claimed more than 60 lives while over 40,000 people were displaced. The Sena, a ruling ally of the BJP-led Maharashtra government, said the 80 Lok Sabha seats of UP could be a "game changer" for the BJP. "Was the bloody pattern of communal flare and polarisation of votes spread for it?" the party further asked. Inspector Subodh Kumar Singh, the station house officer (SHO) of Siana, who was killed by a mob in Bulandshahr, had conducted a probe in UP's Dadri lynching episode of 2015 and taken a firm stand on arresting the accused, the Sena pointed out. 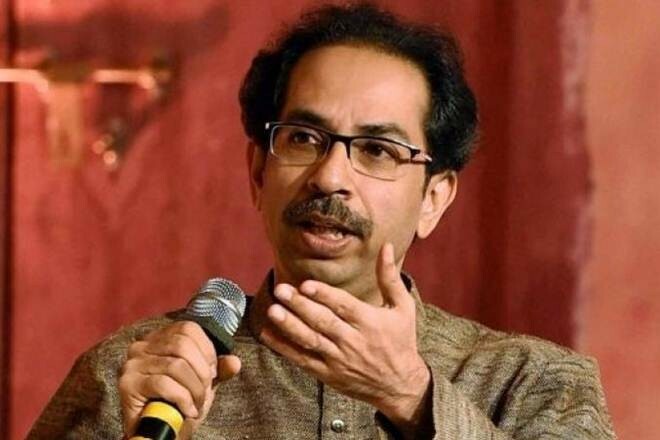 "The question now being raised is if there is a link between the Bulandshahr violence, Subodh Kumar's death and the Dadri lynching incident," the Uddhav Thackeray-led party said. In September 2015, Mohammad Akhlaq, a man in his 50s, was lynched inside his house at Bisada village falling under Dadri subdivision of UP's Gautam Buddh Nagar district on the suspicion that beef was consumed. On Monday, 3 December, a mob of some 400 people, including right-wing activists, fought pitched battles with police in Siana area of Bulandshahr district, apparently, after right-wing activists were angered by the discovery of cow carcasses strewn in a nearby jungle. They set fire to dozens of vehicles, hurled stones and also opened fire at police personnel who retaliated with gunfire. In the violence, Inspector Subodh Kumar Singh and 20-year-old Sumit Kumar were killed. Police arrested four people on Tuesday and were hunting for a Bajrang Dal activist in connection with the mob violence.